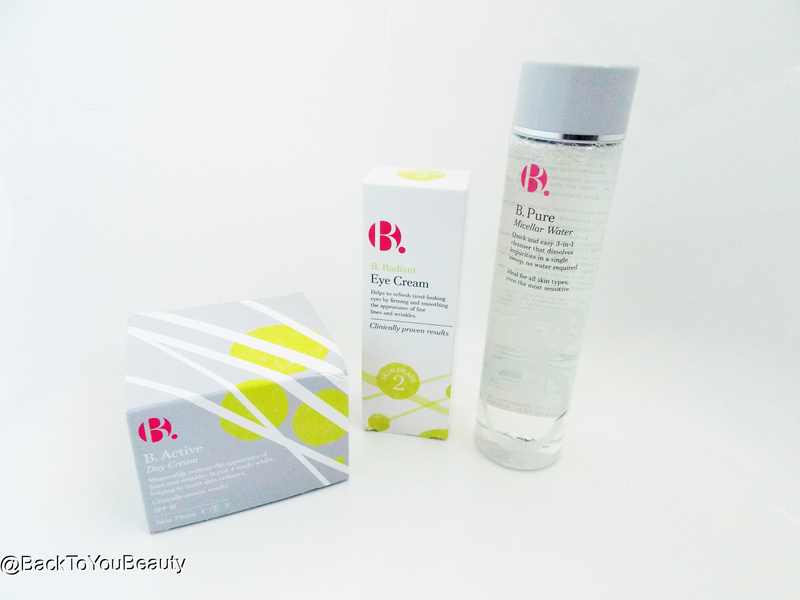 B.Is for beautiful Skincare Range – Great Skincare at affordable, HighStreet Prices. I love Superdrug, I really do. I am in my 40’s and grew up with the shop! There is nothing in there I don’t love and I think all of our high streets are better for having this amazing shop. But! Do you really know all of the wonderful products it actually stocks? 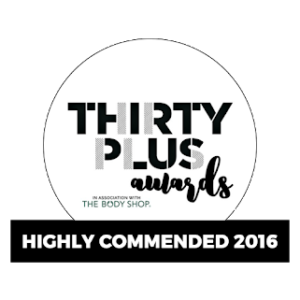 Last year I featured the beautiful Optimum Phytodeluxe skincare range (HERE) stocked in Superdrug and the feedback I received was amazing. 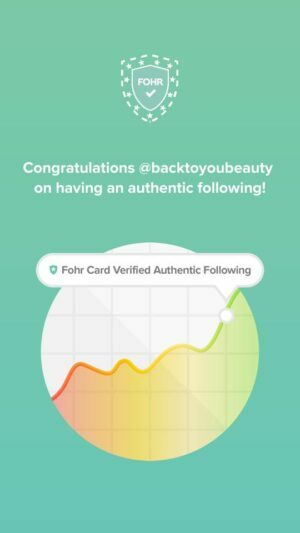 Many people are so used to going in there for their branded skincare, make up and toiletries, they hadn’t realised how many great own brand products are available. Seriously I am so impressed with this range, really I am and I get to try some fantastic skincare on a regular basis. B.Skincare is a Cruelty Free and Vegan friendly skincare range sold Exclusively in Superdrug and has a range of premium skincare from aged 20 up to late 50’s and beyond. Now sometimes, in fact a lot of the time, it’s not always about your age but the age of your skin and some people show signs of a more mature skin earlier than their age due to their lifestyle, medication, the area they live, work environment etc so it pays to take a little time to really look at your skin and what it needs rather than what the age of the jar decides you need. I was sent a few items from Phase 2 aged late 30’s into 40’s and having read and researched the other age range specific products, these were most suited to me. As you know if you are a regular reader of my blog, I suffer from dehydrated skin, due to medication, I also have early signs of slackening skin, get hormonal breakouts on my chin and pigmentation/discolouration. I tried the Micellar Water, Eye Cream and Day cream for a few weeks. 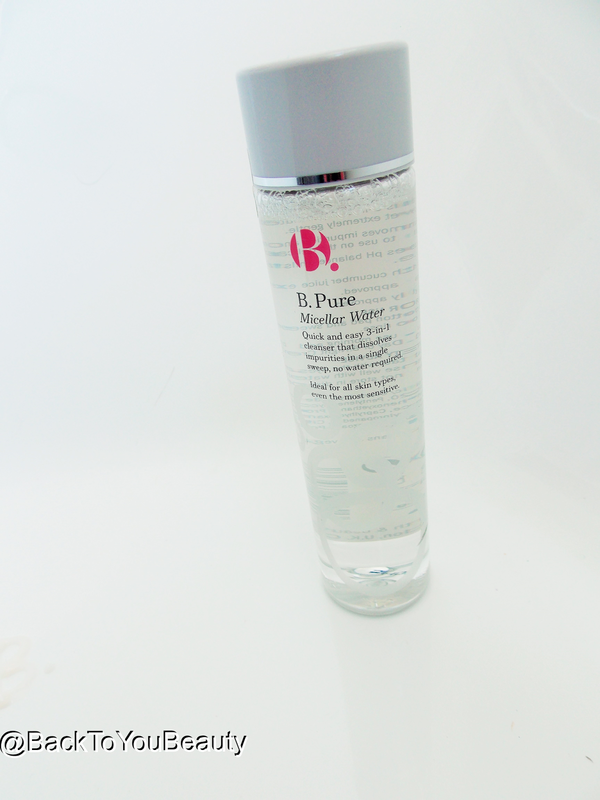 I cannot believe the value of this Micellar Water! £4.99 (on BOGOF at time of writing)This is a great product to have in your make up kit and bathroom cupboard. Suitable for all ages and skin types this gentle water removes traces of grime, dirt and make up quickly and easily. Fragrance free and soft on the skin this is how I like to remove my mascara of an evening, without pulling or tugging the lashes, leaving them feeling soft. I also use Micellar Waters to correct any make up mistakes by putting a tiny amount on a cotton bud and wiping the make up away. Also great to refresh my face in the morning. For a full cleanse I love a balm cleanser, but as a fast out-the-door morning cleanse, you cannot go wrong. This doesn’t strip my skin, but leaves it feeling fresh and clean. 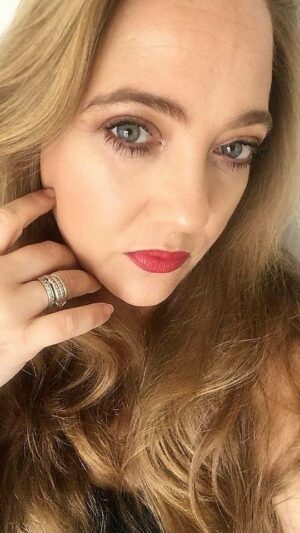 I seem to test so many eye creams these days and whilst i’ve yet to find one that completely irradicates my dark circles, there are many that keep my eyes hydrated and bright and help the fight against fine lines. If you have a budget of £10.99 (on BOGOF at time of writing) Then this is worth a spend. Containing Hyaluronic Acid to moisturise the eye area and make them appear plumper, Olive Leaf and Jujube Seed to help the skin relax and look less tired. 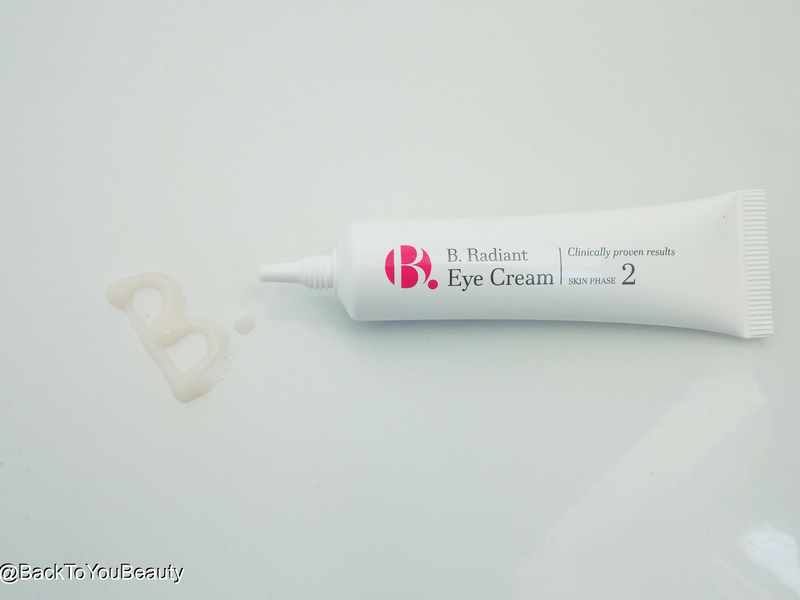 With extracts to brighten the eye area also included it is a lovely cream to use. Almost serum like in texture it is very light and easy to tap into the skin without any roll off. After a couple of weeks use my eye area certainly appeared more hydrated and brighter, although I still had my fine lines, but I would definitely repurchase. Can be used twice a day around the eye area. This is a lovely looking pot and cream that has the weight and feel of something very high end. Containing SPF 15 This day cream has some impressive ingrediants for the price point. Concentrated Tetrapeptide is used to increase skins elasticity, Hyaluronic Acid to hydrate and plump the skin and Niacinamide (a Vitamin B Complex) to boost radiance. When I first applied this cream to my face I wasn’t sure as it is a lot thicker than I am used to. I like really light creams, and it did take a few seconds extra to rub in, which I am assuming is down to the SPF, but immediately and I mean straight away, my skin looks glowing, its like I have painted on radiance. It does take a bit longer to dry down so I can apply my primer and make up without peel off, as when I applied it straight after once it did roll off, but I genuinely think at this price point and for the radiant glow, its worth it. 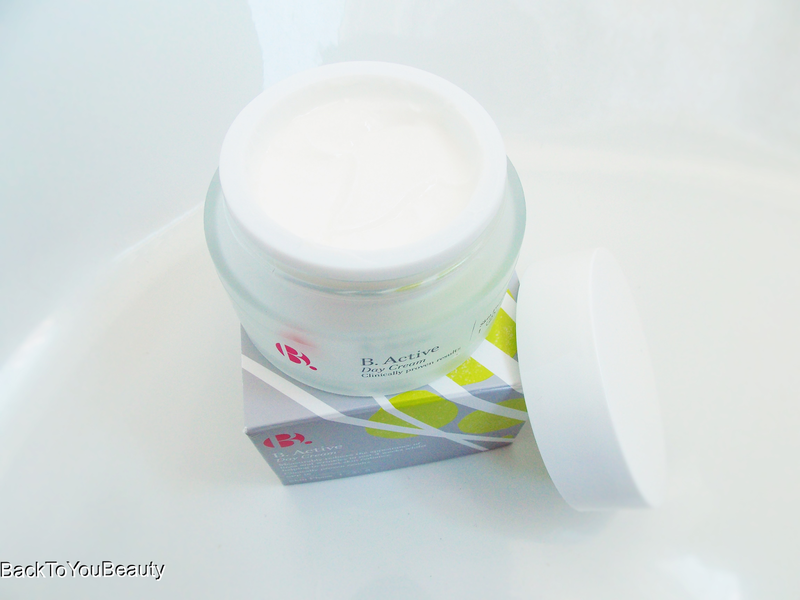 If you like richer creams, more luxurious in terxture you will really enjoy this. My overall thoughts – The ingredient’s included in these products are fantastic especially at such affordable prices and with all of them being on a BOGOF offer as at July 8th 2016. My favourtites from what I tried are the Micellar Water and the Eye cream as the moisturiser was just a tad to rich for me, but the results were lovely. If your skin needs a pick-me-up, a lift, a glow and hydration, plus you love Vegan friendly products which are of course kind to animals then head down to your local Superdrug or shop online HERE. 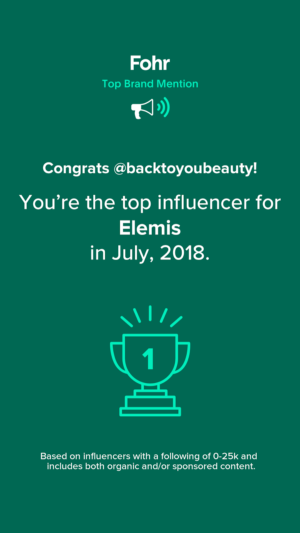 "Elemis 6 piece Skin rituals Collection QVC July Tsv featuring New launch!" I agree with you, Superdrug own brand is full of hidden treasures. They do a good tubing mascara in the B range. At £10 it's kind of pricey for a high street mascara but it's often on a half price offer. Good article. Will have to have a look at Superdrug now. I started using the B radiant phase 2 day and night creams about a month ago and absolutely love them. 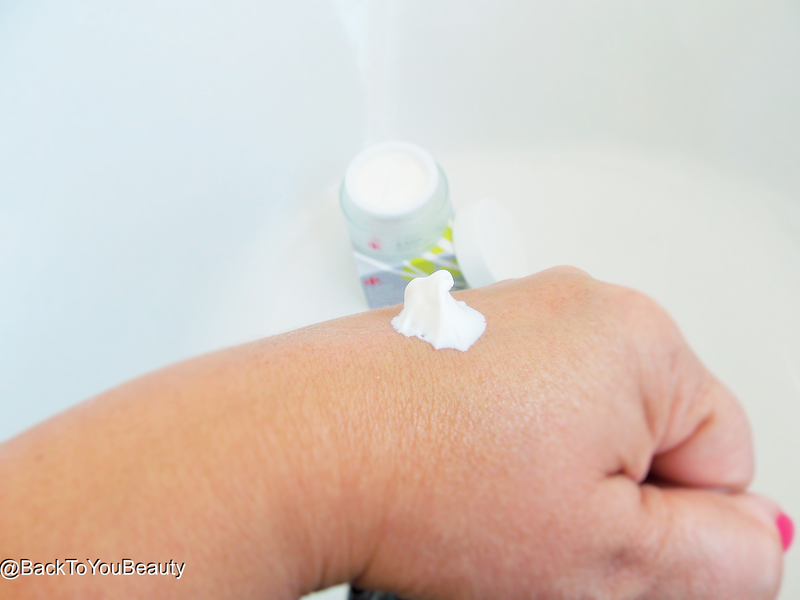 I like my creams a bit thicker as long as they are absorbed into the skin which they both do. The night cream is slightly thicker but again does not sit on the skin but really does make my skin feel soft, re hydrated and feeling ready for the elements of the outdoors. I also really lije the gentle smell and the sophisticated packaging.